Renting a Florence villas with pool , possibly on the hills of Settignano and Fiesole, offers you the opportunity of combining culture, relax and nature. Culture, because wherever your villa in Florence is located, the Uffizi Gallery, the Galleria dell`Accademia, the Medici Chapels in the district of San Lorenzo, the Cathedral of Santa Maria del Fiore and the Ponte Vecchio will always be within easy reach. Relax and nature, because spending your holidays on these gentle hills opening onto one of the most spectacular views in the world - the valley of the Arno, the river that flows through Florence - you will be well off the usual mass-tourism routes and in close contact with the fascinating Tuscan countryside. So, you could leave your villa in Florence in Pian dei Giullari or piazzale Michelangelo, at the foot of Mount Morello or of the Calvana mountains and visit the many prestigious Florentine museums or do some shopping in the high-fashion stores in the city centre. Or you could also take leisurely horseback or mountain-bike rides across these hills covered with olive groves and vineyards, at the discovery of ancient abbeys and medieval strongholds. 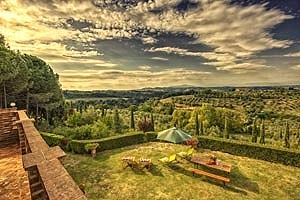 Renting a villa in Florence , you will not be forced to dedicate your next holidays in Tuscany only either to culture, nature or food and wine... On the contrary, you will have the possibility of deciding your program day by day immersed in the peace that only a villa in Florence countryside can offer. 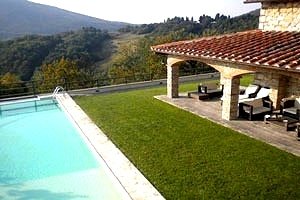 Luxury villa with swimming pool for holidays in the Mugello Valley close to Florence. Independent villa with accommodation for 6/13 people, garden, swimming pool, panoramic view, gym, Internet connection, hydromassage. 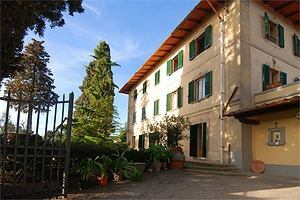 Villa for holidays on the hills of the Florentine countryside. Accommodation for 12+2 people, garden, private swimming pool, hydro massage, Internet connection. 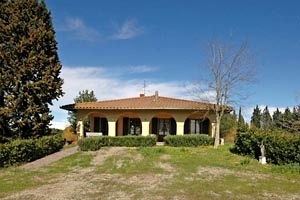 Villa for rent in the countryside of Chianti, near Florence. Accommodation for 8/12 people, private swimming pool, outdoor whirlpool bath for 7, Internet connection, children's playground, air conditioning. Golf club, riding stable and tennis club within a few kilometres. Possibility of organising dinners and cooking lessons. 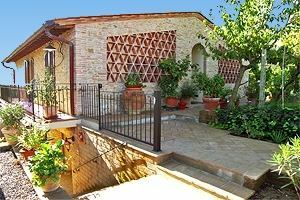 Villa with annexed cottage sleeping 6 in Valdisieve, near San Godenzo (Florence). Garden, barbecue, whirlpool swimming pool, air conditioning, Internet connection. A few kilometres from Lake Bilancino and the National Park of Casentino Forests. Villa sleeping 17+2 in Valdelsa, in Montaione (Florence). Swimming pool, wide park, children`s toys, Internet connection, hydromassage. Italian language and Tuscan cooking lessons are organized upon request. Golf club, tennis courts and riding stable within a few kilometres. Small villa sleeping 6 near Reggello, in Valdisieve, just a few kilometres from Florence. Swimming pool, Internet connection, air conditioning. Cooking lessons, dinners and guided tours are organised upon request. Luxury villa for rent for holidays in Mugello, in Vicchio, in the province of Florence. 12 sleeping accommodations, swimming pool, barbecue equipment, wonderful panorama. 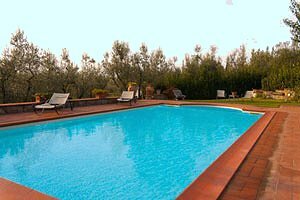 Villa with private swimming pool located in San Polo in Chianti, 16 km far from the centre of Florence, for rental holidays. Accommodation for 10/12 people, swimming pool. 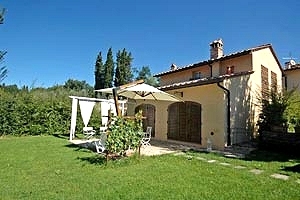 Welcoming small villa sleeping 4 in panoramic scenery in the Chianti region, near Tavarnelle Val di Pesa (Florence). Swimming pool, hydromassage, air conditioning, Internet connection. Wonderful view over San Gimignano's towers. 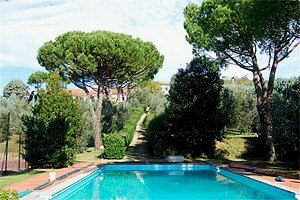 Villa with pool and wide wooded park in Empoli countryside, in Montaione, in the province of Florence. Sleeps 12, air conditioning, Internet connection, solarium area. Thermal baths, riding stable, tennis club and golf club within a few kilometres. 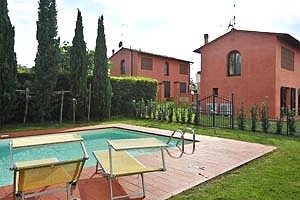 Holiday villa with pool in Reggello (Florence), in Valdarno, just a few kilometres from the Abbey of Vallombrosa. 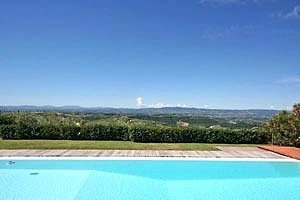 Sleeps 13, Internet connection, breathtaking view over Valdarno. Ceramics, yoga and painting lessons. Tennis club and riding stable nearby. 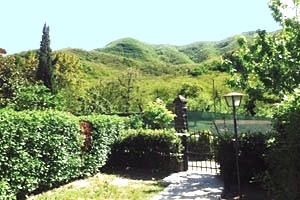 Holiday villa in Empoli countryside, near Castelfiorentino (Florence). Sleeps 8, swimming pool, wi-fi Internet connection, barbecue. 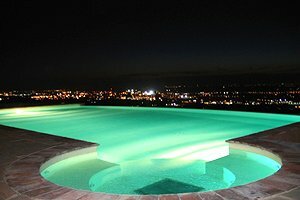 The villa is a few kilometres from Gambassi Terme and its spas. Golf club and riding stable nearby. Villa sleeping 4+2 between Florence and Siena, in the Chianti region, in Tavarnelle Val di Pesa. Swimming pool, air conditioning, Internet connection, table-football table, table-tennis table. Riding stable and tennis club within a few kilometres. 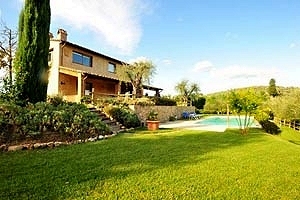 Villa sleeping 8+1 in Montespertoli (Florence), in the Chianti region. Swimming pool, wide garden, barbecue. Florence historic centre is easily reached by car and by bus. 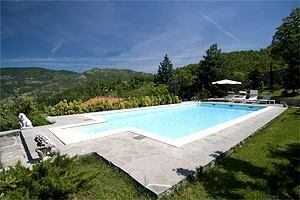 Beautiful villa sleeping 16 guests on the hills south of Florence, in Bagno a Ripoli. Swimming pool, barbecue, Internet connection. Golf club and tennis club nearby. Possibility of organising dinners with Tuscan dishes and cooking lessons. Florence historic centre within short distance. 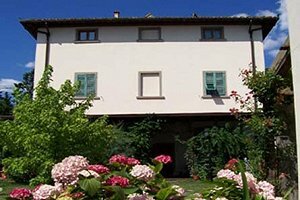 Small and elegant villa sleeping 6 a few dozen kilometres from Florence historic centre, in Mugello. Garden, outdoor whirlpool tub, barbecue, Internet connection. Tennis club and riding stable within a few kilometres. 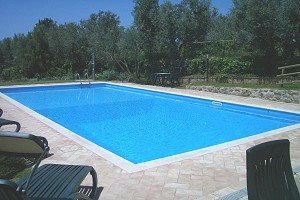 Three villas with swimming pool for rent in a farmhouse near the little town of Montaione, near Florence. Accommodation for groups of 8/16/25 people, swimming pool, hydro massage, garden, golf in the surroundings. 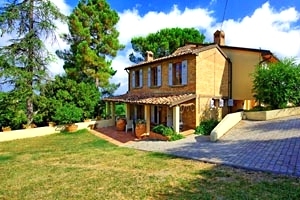 Pretty independent villa near Greve in Chianti for holidays in the Tuscan countryside. Accommodation for 4/5 people, private swimming pool. 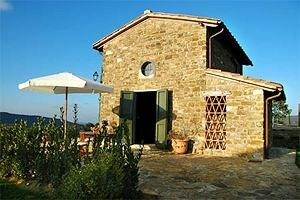 Small and cosy villa sleeping 6 on the hills of Chianti, near Montespertoli (Florence). Garden, swimming pool, barbecue. Wonderful views. 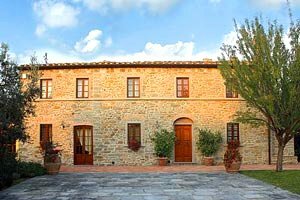 Holiday villa in Montelupo Fiorentino (Florence), in empoli countryside, just a few kilometres from Florence and other Tuscan cities of art. Sleeps 4/6, swimming pool with hydromassage, garden, Internet connection. 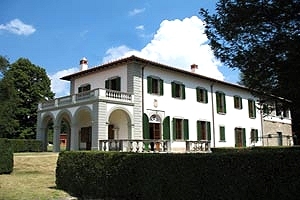 Eighteenth-century villa sleeping 12 in Rignano sull`Arno (Florence), in Upper Valdarno. Wide garden, toys for children, Internet connection, stunning view, horseback excursions, direct sale of farm products. 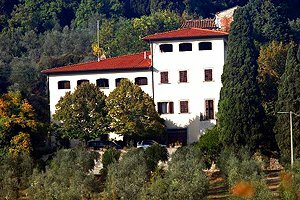 Fifteen-century ex-monastery transformed into a holiday villa sleeping 7 in Valdisieve, in Pontassieve (Florence). Swimming pool, garden, barbecue, Internet connection. Wonderful view of the valley below. Riding stable and tennis courts in the neighbourhood. The villa is just a few kilometres from Florence. Elegant villa sleeping 10 near Vinci (Florence). Wide, fully fenced garden, swimming pool, air conditioning, billiard table, Internet connection. Possibility of organising dinners with a traditional Tuscan menu. 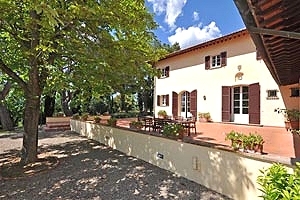 Elegant villa sleeping 14 a few kilometres from Florence historic centre, near Pontassieve, in Valdisieve. Swimming pool, garden with small chapel, Internet connection. 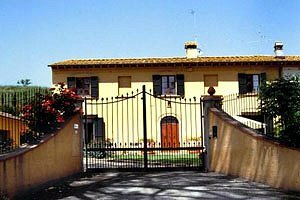 Villa in Panzano in Chianti (Florence). Independent villa with accommodation for 10 people, big garden, private swimming pool. Villa in San Polo in Chianti, near Florence. 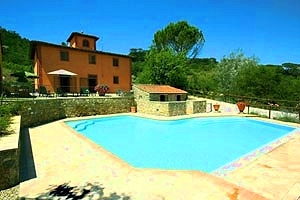 Accommodation for 6 people, swimming pool, panoramic view on the hills of Chianti, golf in the surroundings. 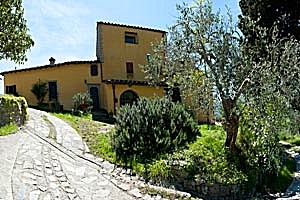 Villa for rent for holidays in Chianti near Florence. Independent villa with accommodation for 10/12 people. 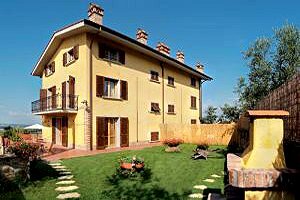 Country Apartments Rental in Villa for Holidays near Montagnana ( Florence ) . Apartments from 2 to 8 beds. Total beds 16/21, internet connection, swimming pool, garden, parking , air conditioning. 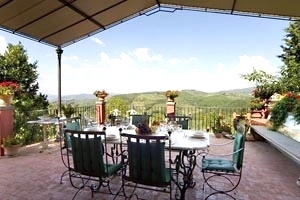 Holiday villa for rent on the hills of Volognano, a few kilometres from Florence. Accommodation for 14 people, swimming pool. 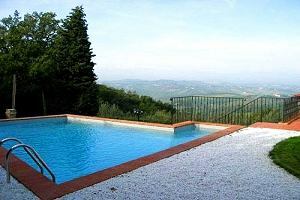 Villa with private swimming pool in the countryside near Florence. Independent villa with accommodation for 9 people, panoramic balcony, Internet connection, air conditioning. 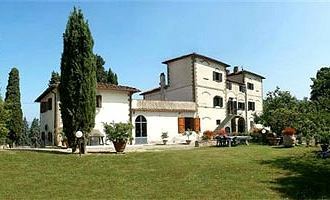 Villa for holidays in the Florentine countryside of Montaione. Villa with accommodation for 6 people, swimming pool and air conditioning. 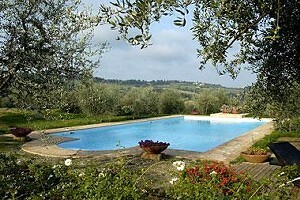 Luxury Farmhouse with private swimming pool at Gambassi Terme in the country near Florence. 6 beds, air conditioned, Internet(Reception). 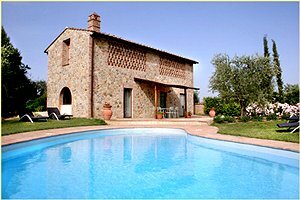 Luxury Farmhouse with private swimming pool at Gambassi Terme in the Empoli countryside between San Gimignano and Volterra near Florence. 6 beds, air conditioned, Internet(Reception). Villa in panoramic position in the neighbourhood of Empoli. 14 beds. Swimming pool, mountain bike rental, wireless Internet connection, barbecue, parking. Holiday villa in Mortespertoli, in Empoli countryside, just a few kilometres from Florence. 8. Swimming pool, air conditioning, satellite TV. 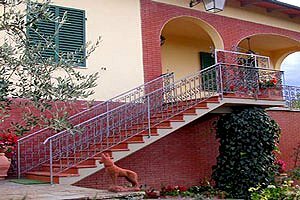 Holiday villa in Empoli countryside, near Montespertoli and a few kilometres from Florence. 10 sleeping accommodations, swimming pool, satellite TV, barbecue. Tennis courts, golf club and riding stables nearby. 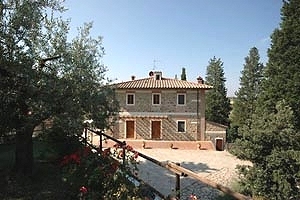 Holiday villa in Florentine Chianti, in Montespertoli, between Florence and Siena. 8/11 sleeping accommodations, swimming pool, wide fenced garden, barbecue, hydromassage. 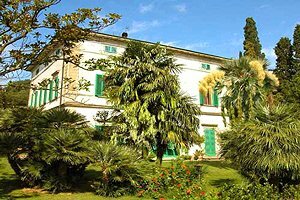 Holiday villa dating back to the 19th century in the countryside around Empoli, close to Vinci (Florence). Sleeps 11/12, swimming pool, Internet connection. 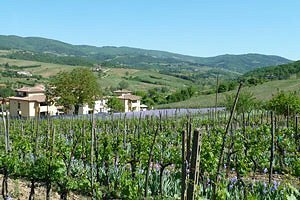 Two holiday villas for rent in Florentine Chianti, in Greve in Chianti, just a few kilometres from Florence city centre. 6/10/16 sleeping accommodations, two swimming pools, Internet connection. 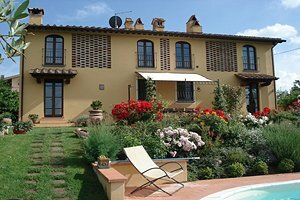 Holiday villa sleeping 14/18 in the Mugello region, in Borgo San Lorenzo (Florence). Swimming pool, garden, sauna, whirlpool bathtub, Internet connection. Panoramic view over the surrounding countryside. Medicean residences, riding stable, tennis courts and golf club within a few kilometres. 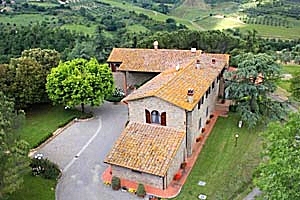 Holiday villa sleeping 8+1 in Empoli countrsyide, in Vinci, in the province of Florence. Swimming pool, garden, air conditioning, toys for children. Stunning view of the surrounding countryside. Tennis courts, golf club and riding stable nearby. 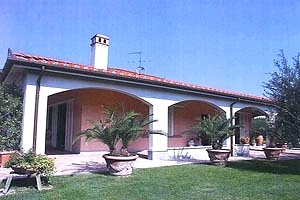 Elegant independent villa sleeping 6+2 in proximity to Vinci (Florence), in Empoli countryside. Swimming pool, barbecue, air conditioning, Internet connection. Tennis courts and golf club within a few kilometres. Villa sleeping 7+2 in Capraia e Limite (Florence), just a few kilometres from Vinci, in Lower Valdarno. Swimming pool, football pitch, barbecue, table-tennis table, Internet connection, air conditioning, hydromassage. Riding stable, tennis courts and golf club within a few kilometres. Modern villa sleeping 8 in the countryside west of Florence, near Empoli. Swimming pool, hydromassage. Just 25 kilometres from Florence historic centre. Siena, Pisa, Lucca and other Tuscan tourist destinations easily reached even by public transport. Portion of a farmhouse sleeping 6 in the Chianti region, near Montespertoli (Florence). Swimming pool, Internet connection. Wonderful views. Villa sleeping 8 near Montespertoli and Certaldo, a few kilometres from Florence and at the border of the Chianti Classico region. Garden, swimming pool, hydromassage, Internet connection. Beautiful view over the surrounding countryside and the towers of San Gimignano. Farmhouse sleeping 8 in Val di Pesa, near the small village of Tavarnelle. Wide garden, masonry barbecue, swimming pool. A few dozen kilometres from Florence and the Chianti region. 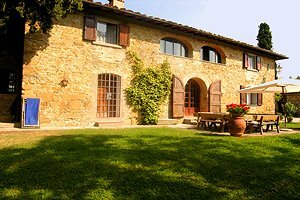 Beautiful villa sleeping 8 in the countryside south of Florence, near Montespertoli and Tavarnelle Val di Pesa, in the Chianti region. Swimming pool, wood-burning oven, barbecue. 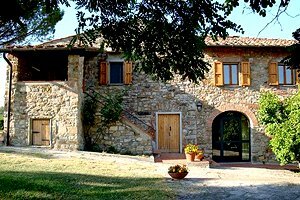 Beautiful villa sleeping 18 in the countryside between Empoli and Florence, a few kilometres from Montelupo Fiorentino. Panoramic garden, swimming pool, Internet connection, possibility of organising guided tours of the farm cellars and wine and olive-oil tastings, and of renting some mountain bikes. 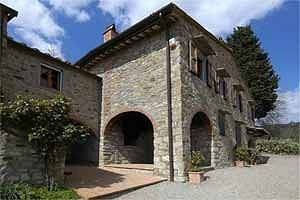 Elegant villa dating back to the 16th century a few dozen kilometres from Florence, in Mugello. Sleeps 15, wide garden, swimming pool, children's swimming pool, outdoor whirlpool bathtub, Internet connection. Wonderful views; golf club and Lake Bilancino within a few kilometres. Mountain-bike and motorbike excursions, visits to the circuit of Mugello and food-and-wine tours are organised upon request.